Fr. Chuck Tuttle has been associated with Mater Dei since August of 1975 when he came on staff as a part-time teacher in the Social Studies department teaching Psychology. 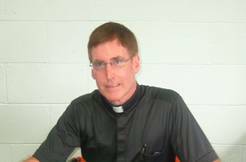 Only away from Mater Dei High School during the 1982-85 school years, when he was assigned to Gibault High School, Fr. Chuck has also taught Freshman, Sophomore, Junior and Senior Religion Classes, College Psychology 101 (through Kaskaskia College) and Sociology. Fr. Chuck was Class Advisor for four year with the Class of 1981 and one year with the Class of 1985 (during their Freshman year). In May of 2000, Fr. Chuck was inducted into the Mater Dei Hall of Honors. During the recent Capital Campaign, he worked on the Strategic and Major Gift Committees. On July 1, 2005, Fr. Chuck was named the Director of Institutional Advancement at Mater Dei High School and stepped aside from the day to day administrative duties of the parishes of St. Augustine’s Breese and St. Anthony’s Beckemeyer but still remains as Pastor and provider of sacramental ministry while also continuing as Chaplain at the Carlyle Healthcare Center. Fr. Chuck has a deep love for Mater Dei High School and has promised to work hard for the future development and advancement of Mater Dei. Kathy (Henken) Huelsmann started part-time in 1996 and then worked her way to full-time status two years later. Kathy is a member of the Mater Dei Class of 1979, and the Saint Mary’s College Class of 1983, where she graduated with a Bachelor’s degree in Business Administration with a concentration in Marketing. 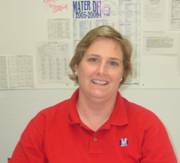 Included among Kathy’s many duties for Mater Dei are fundraising, creating the VITA, the Annual Fund Report, data entry and more. Originally from Carlyle, Kathy has lived in Breese since 1986 when she married Mike Huelsmann, MD ’76. Mike and Kathy have a daughter Ellen, MD Class of ’07, and a son John, MD Class of ’10. 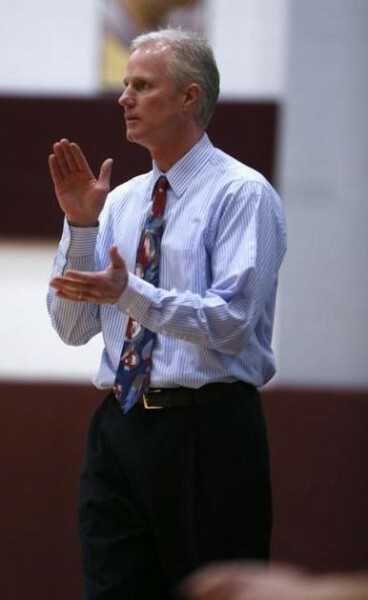 Ron Schadegg ’84 graduate came back to Mater Dei in the 2013-14 school year from Orlando, Florida where he was a Physical Education instructor and Head Basketball Coach for 12 years. Ron’s responsibilities include all public relations (including keeping the school’s website updated and maintaining and posting to the school’s Facebook page) weekly news to media outlets and parishes, and all aspects of alumni relations (including working with class reunions). A native of Breese, Ron and his wife, Shelly) have two children, Lindsey and Jacob “Jake”, MD Class of ‘20.